The Interfaith Festival each year takes place on the beautiful Mornington Peninsula, a popular tourist destination situated an hour from Melbourne. 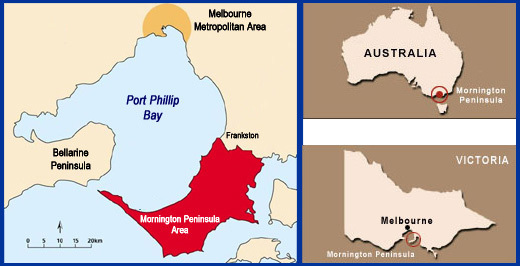 The Peninsula is home to numerous cultures and faiths beginning with the traditional land owners the Bunurong (Boonwurrung) people, members of the Kulin nation, who have lived in the region thousands of years before European settlement and have a unique relationship with the land and water. The Peninsula is home to residents from countries such as the United Kingdom, Ireland, Scotland, Wales, New Zealand, Italy, Netherlands, Germany, South Africa, Greece, United States, China plus much more. Predominantly Christian, the Peninsula is comprised of various denominations including Anglican, Catholic, Uniting, Presbyterian & Reformed, Baptist, Orthodox, Pentecostal and Lutheran. Other religious communities include Bahai, Buddhist, Hindu, Jewish, and Muslim. The Mornington Peninsula Interfaith Network is committed to promoting understanding and respect amongst all communities in the Mornington Peninsula area and working towards reconciliation with the traditional land owners.